Poland, like most other European countries, has a long history of choral art extending from the early 13th century “Gaude Mater Polonia” to contemporary composers such as Romuald Twardowski and Krzysztof Penderecki. And in Poland as in so many other countries, choral art has had its ups and downs over the years. 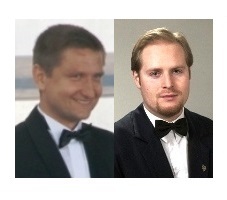 In Poland there are two kinds of choral education: General and Professional. In the general education system in elementary and middle schools (a type of school between elementary and secondary for children aged 12-15 years) pupils learn the basics of music. Many schools have choirs but usually these are an after-school activity only. These choirs are led by a music teacher from the particular school – normally for about 3-4 hours a week – and usually only take part in activities connected with school life. Very seldom do schools have the opportunity to give concerts outside the education facility or to take part in festivals or competitions. This is due in some cases to the limited number of hours set aside during school time; and in some instances pupils have no music at all. On average, pupils have between 3 and 5 years of music study during their first 9 years of education, which does not give them sufficient musical experience to sing properly. Some schools have obtained reasonable results but this is mainly due to the hard work of dedicated teachers who give up their time to provide extra tuition for their pupils. The second type of choral education involves music schools of a different type (elementary, middle and secondary) which provide tuition for prospective professional musicians. In these schools choral study is compulsory for all pupils, usually 2-4 hours a week. Choirs from these schools have been known to win prizes at festivals and competitions. However, the greatest impact on the development of Polish choirs has been made by individual conductors in the amateur choral movement. In Poland there are mostly mixed choirs; children’s, female voice and male voice choirs are relatively few. Mixed choirs tend to be composed of older students or adults – usually with little or no experience of music schools – who have in common a shared love of singing. The highest standard of choral singing is usually found in college and university choirs aged 20-30 – very often with older members who are graduates or university teachers. It is difficult to say which town or university has a leading choir, since membership fluctuates as choristers usually only sing in the choir when they study. The second most popular type of choirs are mixed adult choirs which in recent times have become stronger in membership, their numbers having been increased by the presence of numerous senior singers including many music teachers. Lack of education has led to problems with young choirs, which consist mainly of girls’ choirs; there are very few boys’ choirs. In addition, most boys’ choirs are not SSAA but tend to be mixed boys and men’s choirs with a SATB format. As a result of this the Male Voice Choir tradition appears to be suffering – demonstrated by the fact that in the whole of Poland there are fewer than 50 amateur male voice choirs, of which only about 10 are of a really high level. This situation may be due partly to the career pressure for men in professional life to work overtime, and partly to the low membership of boys in school choirs. There are, however, quite a few chamber choirs or vocal ensembles of a high or very high standard – often consisting of professional musicians and working as semi-professional or professional groups. 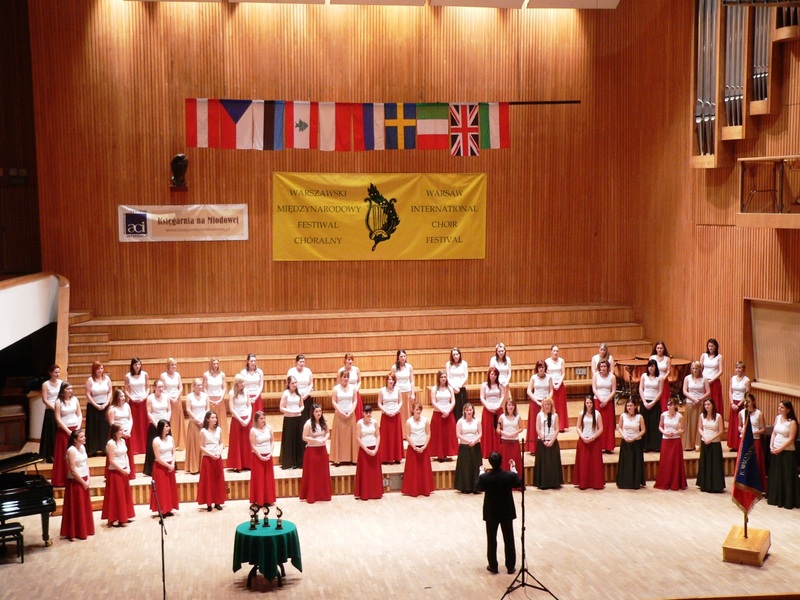 As well as established choirs, there are a number of Choral Societies in Poland who strive to put together more than one choir, and try to promote choral education among children to help them attain a standard allowing them to take part in concerts and even in large festivals. As is the case all over the world, most large cities have philharmonic and/or opera choruses and other professional ensembles. 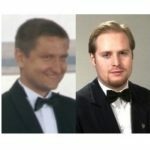 The Polish Choirs and Orchestra Association (http://www.zgpzchio.pl/2/index.php) is presently very weak due to extremely limited support from the government and to the general lack of funds common to most Polish choirs. 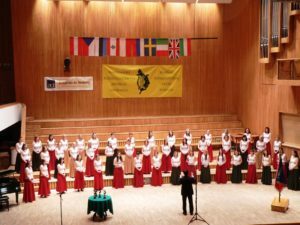 In most regions of Poland there are local branches of Polish Choirs and Orchestra Association which sometimes operate independently; some regional divisions are more active than others and are quite well managed. However, several regions have no structures in place at all, or are unable to perform anything independently even when there is a high number of choirs in their respective region. This may be because the Polish Choir Association is combined with the Orchestra Association and there is always a conflict of programme priorities. In Poland there is also the Polish Union of Church Choirs (http://www.caecilianum.eu) which is a young organisation; it is difficult to evaluate its activity as its members are mostly from parish churches. But despite the many problems present, Polish choral life is quite active thanks to other organisations like Choral Societies, Culture Centres, festival organising committees and many choirs working and cooperating together. The majority of the repertoire sung by choirs is Polish and European sacred music. In Poland there are very few medium-size or large concert halls and most concerts take place in churches which sometimes makes it impossible to perform non-sacred pieces. Until the mid-18th century Poland was one of the most important countries in Europe, and consequently has a variety of interesting historic composers including, for example, Wincenty z Kielczy, Grzegorz Gerwazy Gorczycki, Wacałw z Szamotuł, Hieronim z Pokrzywnicy, Mikołaj Gomółka, Mikołaj Zieliński. They composed both in Latin and Polish. Right up to the end of 18th century many non-sacred songs were also composed. Later in the 19th century sacred music was still very strong owing to a political climate in which the church was often the only place people could have a small amount of freedom. It is worth mentioning here Józef Elsner and Feliks Nowowiejski as well as Karol Kurpiński and the most famous Polish opera composer Stanisław Moniuszko, all active during this period. The first half of the 20th century saw a notable development of folk music connected with the restitution of Poland which allowed the Polish language to be used as well as Latin. There are many contemporary composers, the most often sung and published being Romuald Twardowski followed by Józef Świder. Other important composers for Polish choirs are Andrzej Koszewski, Stanisław Wiechowicz, Andrzej Hundziak, Jerzy Kołaczkowski, Paweł Łukaszewski, Marek Jasiński, Stefan Stuligrosz, Piotr Jańczak, to name just a few. Many Polish composers publish their works abroad. Choirs often find it difficult to obtain legal scores as these are very often published in books containing several pieces by one composer or of one type of music, which makes it very expensive for choirs to sing a variety of music. To solve the problem, choirs quite frequently use arrangements (most of them of a high quality) instead of original compositions or unpublished compositions as well as many anonymous works which are commonplace in Polish choral music. The leading Polish publisher is Polskie Wydawnictwo Muzyczne (PWM) (www.pwm.com.pl) which unfortunately does not publish many new editions for choirs and mainly concentrates on instrumental scores. Other publishers are much smaller but often provide a much better selection for choirs or vocal ensembles. It is worth mentioning publishers like Triangiel (www.triangiel.com), Hejnal (www.hejnal.eu) and more recently the Choral Society LIRA which has published works for male-voice choirs. Many composers also publish their scores individually or sometimes publish for the specific requirements of a particular festival. 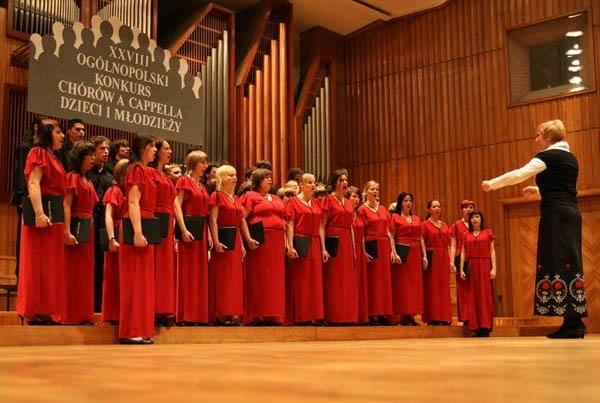 In Poland there are many medium-level and high-level festivals mostly for a cappella choirs. However, the majority of them are either for Polish choirs only or are not well attended by foreign choirs owing to the lack of information in English abroad or to the late announcement of a particular festival. Some of the most popular festivals for Polish choirs are the Legnica Cantat (http://cantat.legnica.pl), Cantio Lodziensis in Lodz (www.ldk.lodz.pl/home/Page/115), the Youth and Children’s Choirs Competition in Bydgoszcz (www.chory.palac.bydgoszcz.pl) and the student choirs festival Universitas Cantat in Poznan (www.cantat.amu.edu.pl). There are very few festivals of an international level. 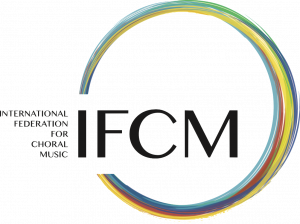 Sometimes the word “international” is used in the title of the event, but all too often the Jury includes only one member from abroad (and sometimes none) and there may be only 2-3 foreign choirs participating. Good examples of international festivals are Hajnowka Orthodox Church Music Festival in Bialystok (www.festiwal-hajnowka.pl), the International Warsaw Choir Festival Varsovia Cantat (www.varsoviacantat.pl) or recently the International Krakow Choir Festival (www.krakowchoirfestiva.pl) which is so far the biggest Polish choir festival. Compared to other countries there are not many Advent and Christmas festivals in December because according to the local customs the period for “Christmas singing” is different, beginning in mid-December (not everywhere) and continuing until the beginning of February. Consequently, most Christmas concerts or festivals take place in January. 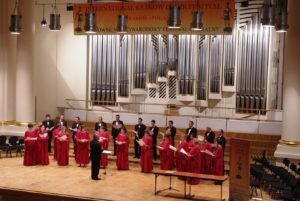 The recently established Krakow Advent & Christmas Choir Festival (www.christmasfestival.pl) is the first event of this type to be held in Poland in December. Nevertheless, the choral world in Poland is very active: Polish choirs are well represented abroad at festivals and concerts, and very often win top prizes. And further, Polish composers have become more and more popular among foreign choirs. Hopefully, as each year passes there will be progressively more choristers in progressively better choirs, performing music to a higher level and bringing their music to a wider audience.